This is a new holiday mini set called Tee Hee Hee. I drew a washline and stamped the top of the broom in Soft Suede (stamped off for the lighter color) for the grass, tore some paper and sponged along the edges with Soft Sky ink. 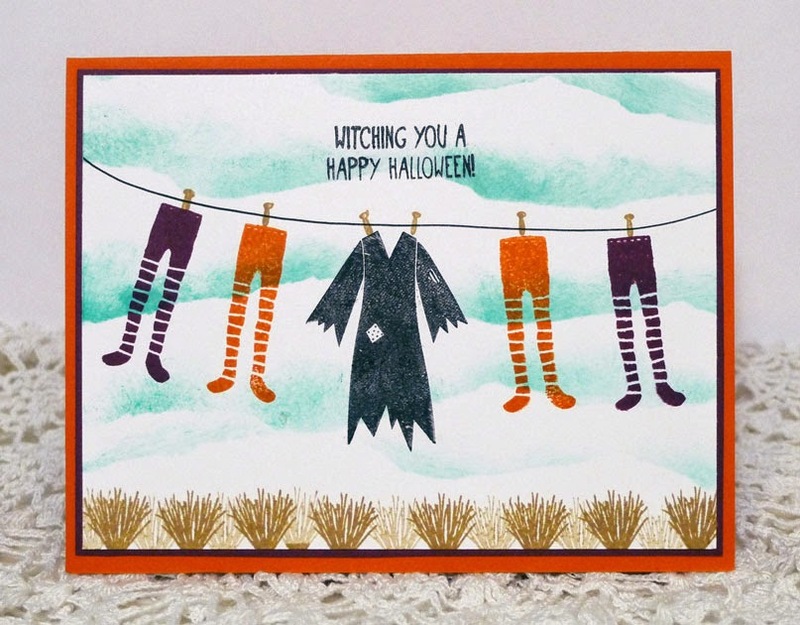 Pumpkin Pie and Rich Razzleberry inks and cardstocks. I took apart a French fry box from McDonald's and made a template for this project. 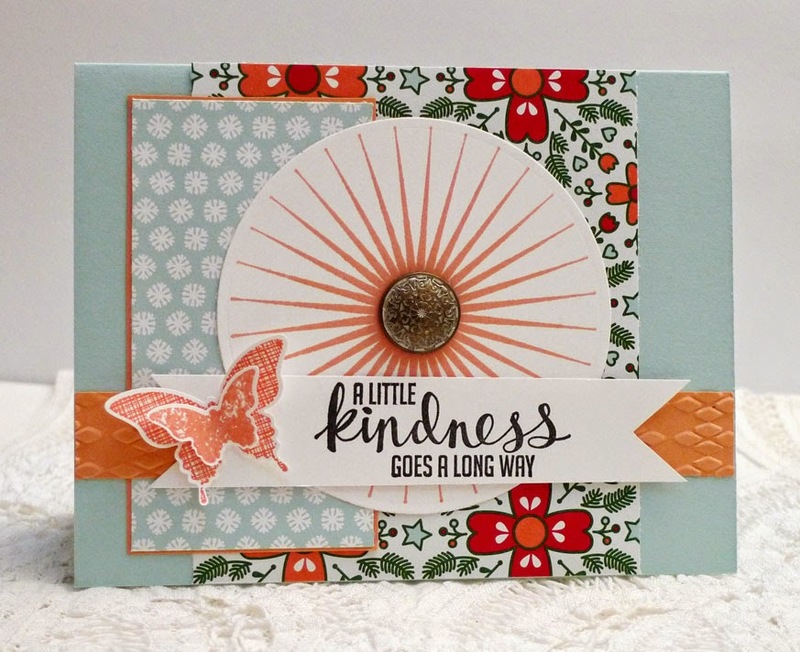 Supplies used were Authentique paper pack, Stampin' Up! Holiday Best sentiment, ribbon, and gold brads, bird punch from Martha Stewart. Oval dies are Spellbinders. I finally ordered the Kinda Eclectic set, I've had my eye on this one since I got the new SU catalog. It is SO versatile and the butterflies match the punches that I love so much. New Nordic Noel paper, Soft Sky and Crisp Cantaloupe cardstock, and antique brad. For the Mojo Monday sketch challenge. New Holiday Home stamp set with Filigree Frame embossing folder. For weekly Christmas Challenge 38. 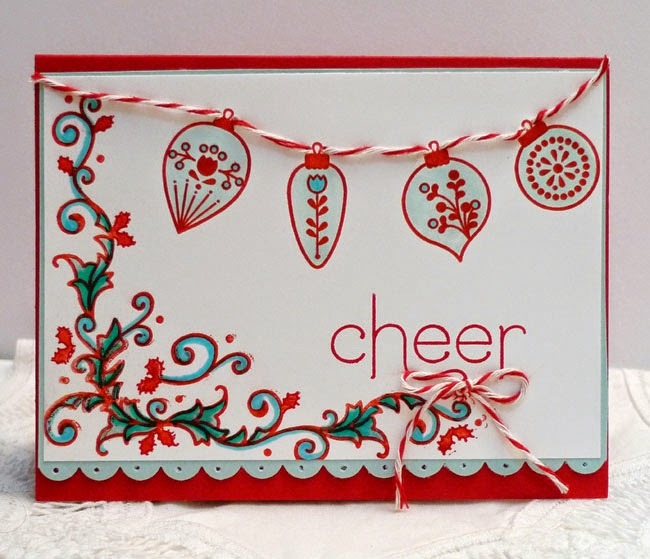 Another holiday offering from the Stampin' Up! mini catalog available soon. 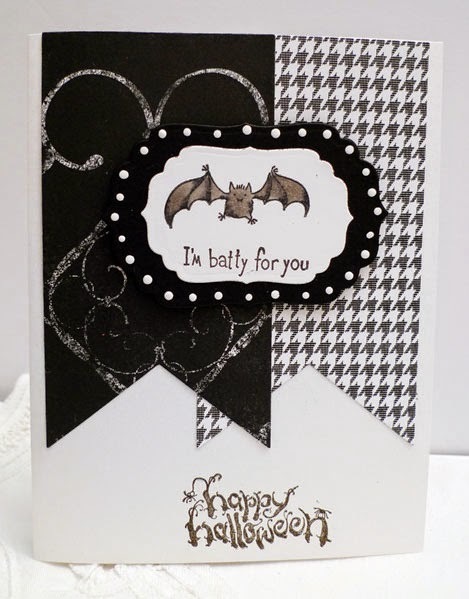 Tee-hee-hee is a cute Halloween set with plenty of fun sentiments in a witchy theme. 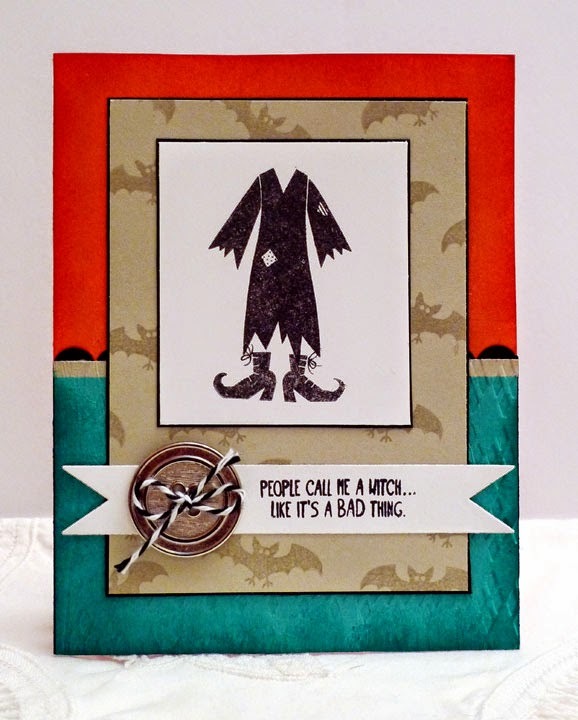 I used it with Sahara Sand, Tangerine Tango, and Bermuda Bay for the Mojo Monday sketch challenge this week. Inspired by a sample in the SU demonstrator's magazine that uses this set for the masking technique, I changed the colors and the top part a bit. Flower Patch set in various pinks with leaves of Pistachio and Olive. 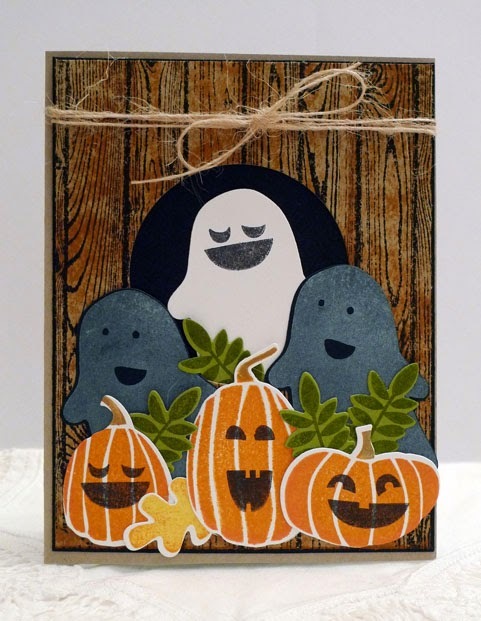 I had leftover supplies from yesterday's card using Hardwood and the new Fall Fest from Stampin' Up! so I made this card, adding some ghosts to the mix. 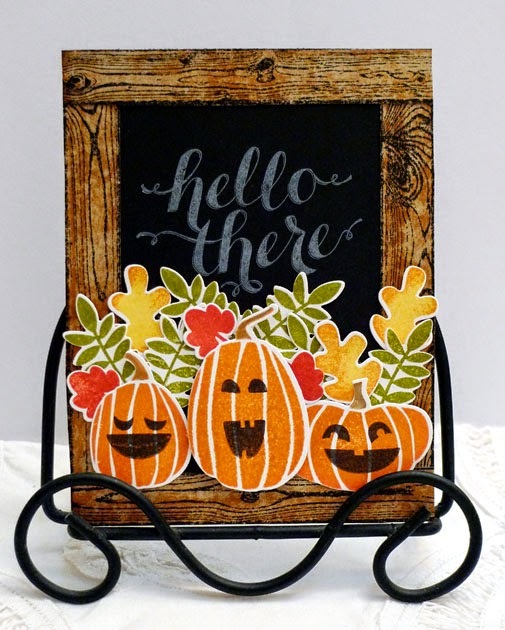 Fall Fest and the coordinating framelits dies are another offering in the upcoming holiday mini catalog from Stampin' Up! 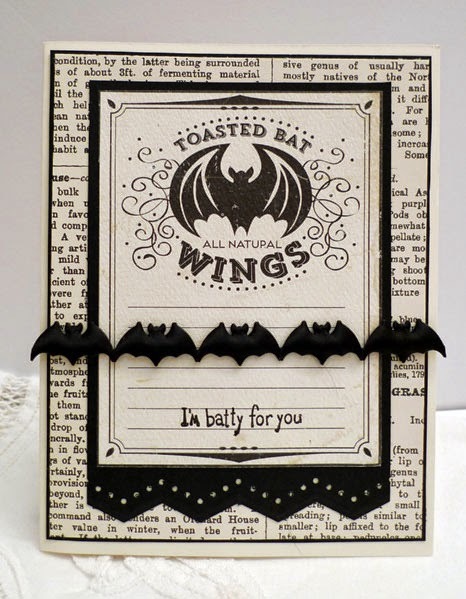 I used these with the Hardwood and Hello There stamps. If I could only buy one thing from the upcoming holiday mini catalog, it would be the Holiday Home set. 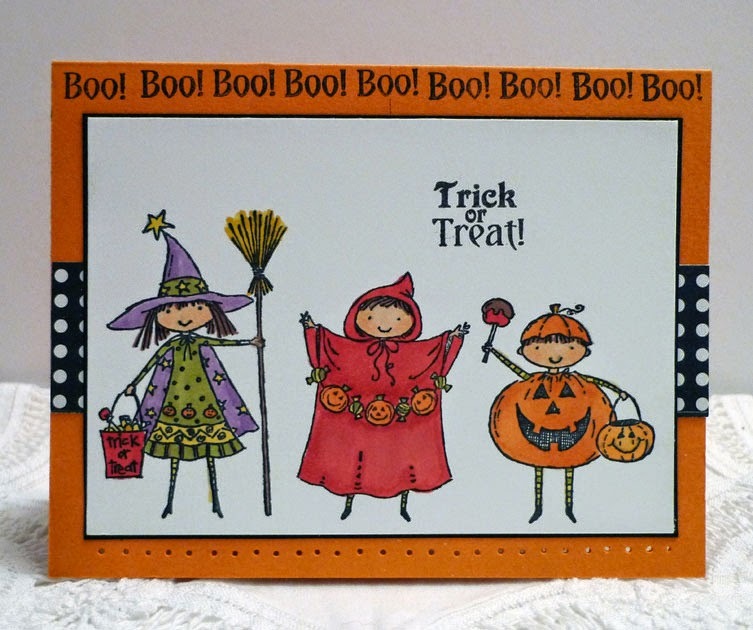 You can use this all year for many different kinds of cards. 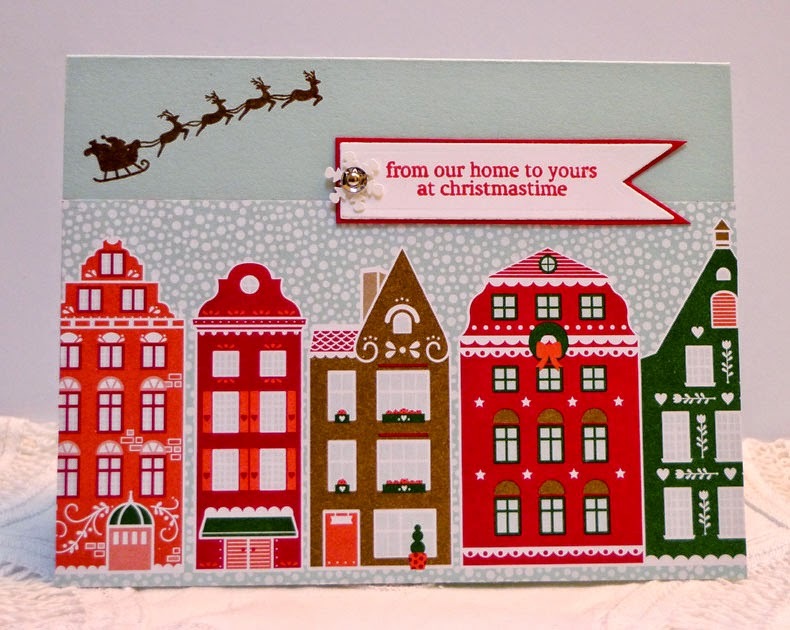 The designer paper here is Nordic Noel which is totally awesome, the paper does most of the work here for this quick card. New Frosted Sequins with a mini brad to embellish. 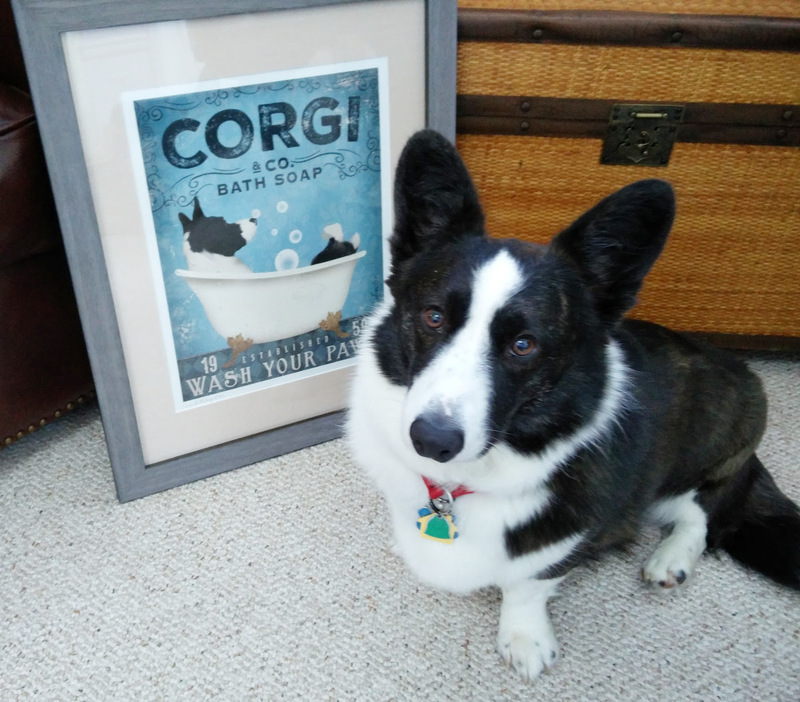 The holiday catalog from Stampin' Up! is right around the corner! 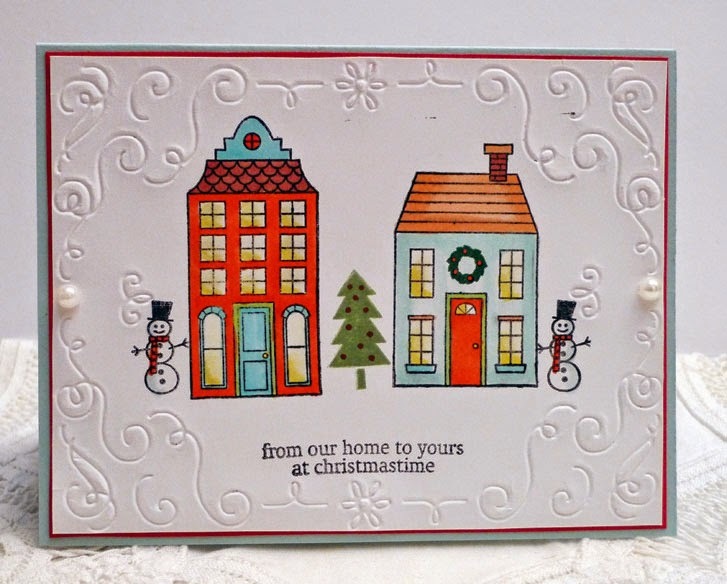 Here is a sneak peek using Cheerful Christmas stamped in red with the Festive Finishes letterpress plate that I found in the Clearance Rack. 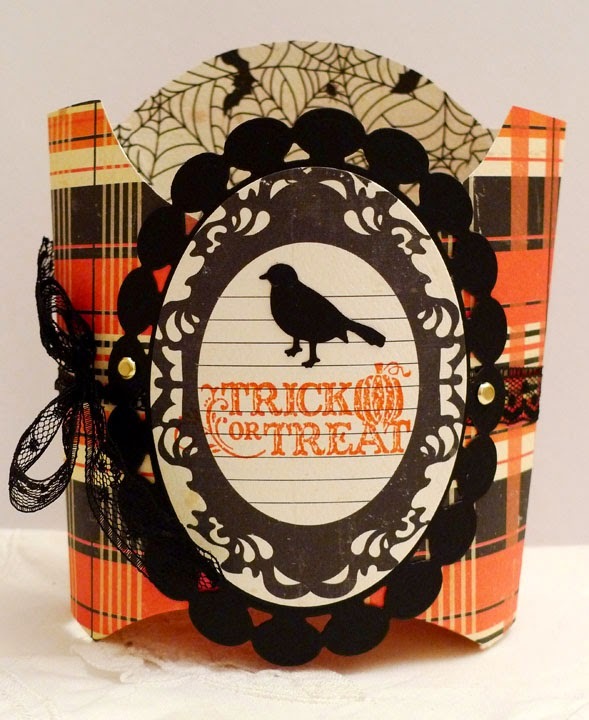 The mini catalog has lots of pretty offerings for Halloween, Thanksgiving, and Christmas. I'll be posting more samples very soon. 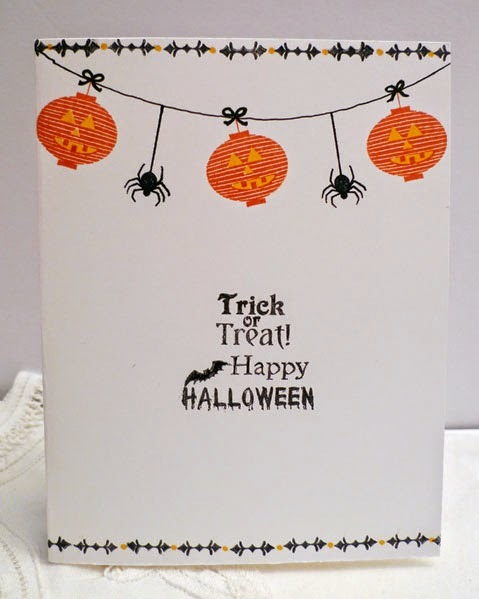 Some more Halloween cards for Operation Write Home! 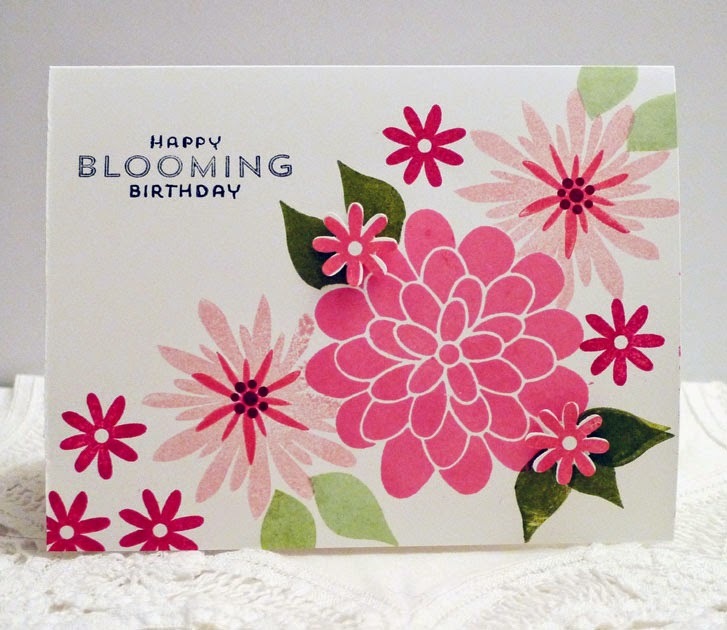 All supplies are Stampin' Up! for the first card shown here. 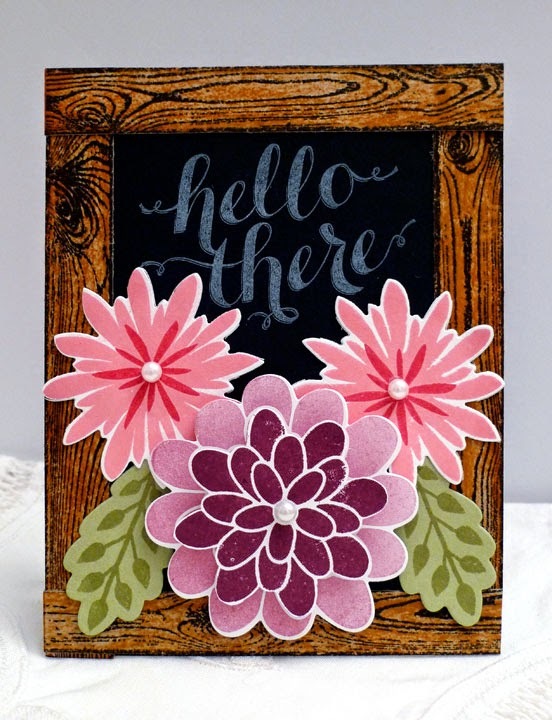 Hello There, Flower Patch, and Hardwood stamps. 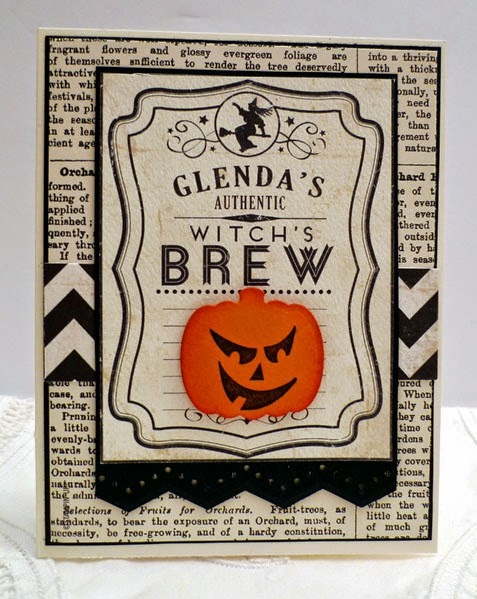 The second card uses SU's retired Sweeter Treaters and non SU paper and sentiment stamps. Edited to add: Woodgrain made using Crumb Cake cardstock with Early Espresso ink. 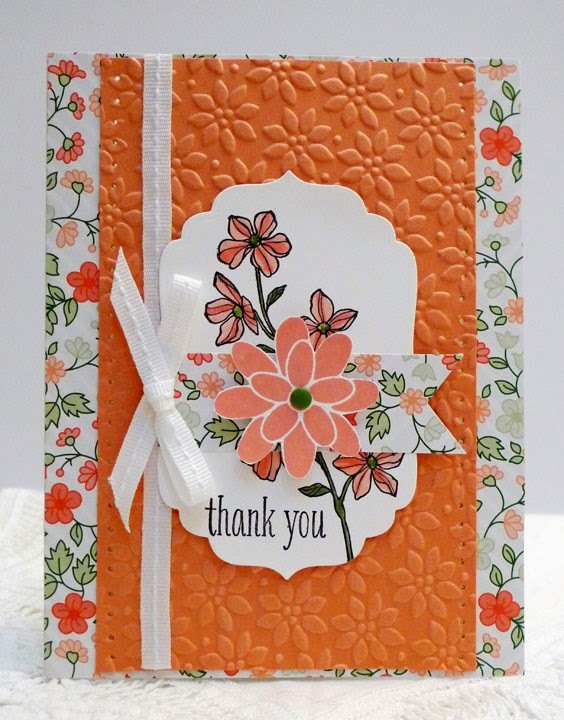 Swiped the Tangerine Tango inkpad in downward strokes over the stamped image. All Stampin' Up! supplies of Gold Soiree paper, Crisp Cantaloupe and Whisper White cardstocks, Peaceful Petals and Flower Patch stamp sets, white stitched ribbon, and brad.